Why does a female MD write a book that helps males be better dads for their daughters? Because she believes we have a lot to offer them, things that can make them great women someday. This goes against our culture’s notion that men can’t possibly understand their daughters. Unfortunately, men believe this and consequently take themselves out of their daughters’ lives in one-way or another. Meeker is helping to remedy this. In Strong Fathers, Strong Daughters: The 30-Day Challenge,author Meg Meeker helps men see the God given abilities that can help them be an extremely important part of their daughters’ lives. Dads show their daughters what men are, who God is, and how the world doesn’t wants what’s best for them; only dad and mom do. The book covers the same topics as her original work, Strong Fathers, Strong Daughters: 10 Secrets Every Father Should Know. 1) You are the most important man in her life. 2) She needs a hero. 3) You are her first love. 4) Teach her humility. 5) Protect and Defend her. 6) Pragmatism and Grit, Two of Your Greatest Assets 7) Be the man you want her to marry. 8) Teach her who God is. 9) Teach her to fight. 10) Keep her connected. She recommends reading certain chapters in this book. However, even if you don’t buy the 10 Secrets book, you get a lot of information from the Challenge book. This latter edition is particularly good for men who don’t have a habit of reading. Any man, if he cares to know more about his daughter, will read the thirty chapters, each of which are no more than four pages long. 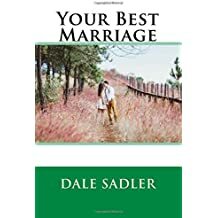 Each chapter will help you grow as a man, and you will see that this is important because your daughter will someday marry someone like you. As Meeker says, “Women gravitate towards the familiar.” At the end of each chapter is a challenge engineered to help dads authentically engage with their daughters. Doing this can be awkward for dads but through Meeker’s coaching, any dad can do it. I wouldn’t recommend doing each activity one day after another. This will seem fake. 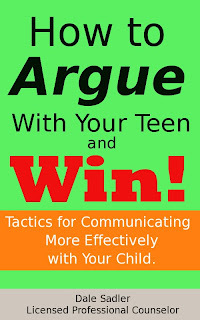 However, a well-planned activity based on Meeker’s suggestions will do wonders for your relationship with your daughter. Furthermore, some activities are appropriate for younger girls while others are more for older ones. One of Meeker’s last directives is to put the book up for a while when you’re done, and refer back to it from time-to-time. I agree. Meeker discusses men’s natural strengths without apology and identifies how they counteract the weaknesses of women. While this will enrage some feminists, it also allows her to speak directly to the heart of the dads reading, encouraging them to “man-up.” Too many dads sit on their thumbs, and remember, it’s a book for dads, not moms. Meeker’s frank authorship and knowledge of the worries and fears of today’s dads make this book a must-read for every man who wants to do his best for his family. Think you can’t reach your daughter? Whether you only see her on the weekends or every single night, Meeker’s thoughts can help guide you to a better relationship with your little girl so you can shape her into a woman who will make you proud. Previous Article Are You Worthy of the Title, "Daddy?"